I’m currently writing an article about the intimacy between neoliberalism and behavioural economics, following Richard Thaler’s recent Nobel award. While I was researching, I came across an Institute for Fiscal Studies (IFS) document about Nudge from 2012 – Tax and benefit policy: insights from behavioural economics, which suggested the introduction of “ordeals” into the social security system. The authors claim it would “deter fraud”. Although the IFS didn’t quite commit to calling for the idea to be implemented formally via policy, they did present the idea as an incontrovertible fact. Yet it is a controversial opinion, which is not supported by empirical evidence. Introducing ordeals to social security also deters our most vulnerable citizens from claiming the support they need in order to live. Because of this, it wouldn’t be possible to determine the number of people who were intending to make a fraudulent claim. 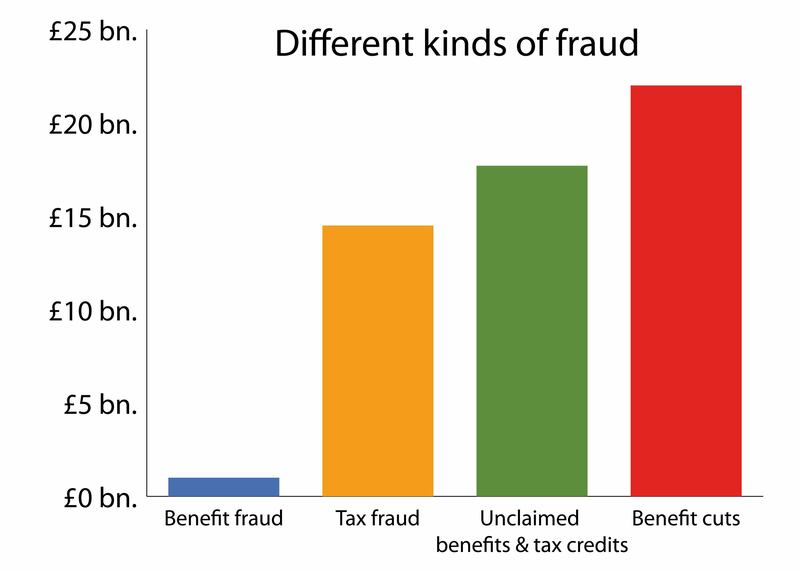 Prior to the welfare “reforms”, social security fraud was estimated at around 0.7 %. However, this very low figure also included bureaucratic and administrative errors, which resulted in overpayments. At the least, this comment reflected something of the mindset and taken-for-granted assumptions behind the Conservative welfare “reforms”, and the statement indicates that the “problems” with and subsequent hardships caused by Universal Credit and other forms of welfare support are intended. The problems we are witnessing with Universal Credit, Employment Support and Allowance and Personal Independent Payment are arising, not because of unintended consequences, or bureaucratic ineptitude, but because of the governments’ “calculated cruelty”, rather than “gross incompetence”. The idea of intentionally designed environmental “ordeals” indicates the political (misuse) of behaviourism – a perspective that underpins libertarian paternalism – which is the ideological basis of behavioural economics. The claim is that libertarian paternalism is designed to “help” people who behave irrationally and so are not advancing their own “interests” to behave in ways that self-appointed “choice architects” deem beneficial to themselves and society, while interfering only minimally with people who behave rationally. Public policy over the last 7 years indicates that the poorest citizens are considered cognitively “faulty”, whereas wealthy people are seen as being cognitively competent precisely because they are wealthy. No-one seems to be challenging this fait accompli approach to public policy and ultimately, to altering public perceptions, experimenting on people without their consent, using armchair psychology and techniques of persuasion, and behavioural engineering on the basis of socioeconomic status. Richard Thaler once said that if everyone were rational, we would all invest in the stock market. That’s a pretty limited definition of “rational” behaviour. He also believes that poor people actually choose borrowing money and credit at the highest interest rates. This is the problem with having such a narrow ideological view and focus. It skews, limits and reduces perspective because you miss the impact of real and complex social interactions, of inequality; the influence of power relations on social outcomes; exploitation; the consequences of political decision-making and institutionalised class-based attitudes and prejudices on social behaviours, for example. There are structural constraints to consider, and a host of other crucial interconnections that shape outcomes in our highly complex social world. Behavioural economics tends to focus on the quantification of human experiences, while framing social problems as simply arising due to incompetence of individuals’ decision making and behaviours. In doing so, it’s scope is so limited and it fails to generate meaningful explanations and promote understanding of those experiences. Thaler doesn’t discuss the irrational behaviours of very wealthy people who harm the economy by exploiting workers, by tax evasion or offshore banking. Or the finance industry, who never lend money to people who actually desperately need it. Banks and money lenders generally tend to consider any loan or credit for people with little money as “risky” investment and so, with impeccable logic, they hike up the interest rates. It’s not easy to see how that works out any better in terms of the risk of defaults on payments. Poor people pay much more for their credit because of the credit-scoring, profiteering and institutionalised discrimination and behaviours of the finance industry. Thaler doesn’t seem to provide much insight into the context and interdependencies of behaviours. He simply believes that poverty happens because poor people make “poor choices”. However, being poor means having limited choices in a capitalist society, because it is wealth that creates choice and power, and because complex social and political barriers and institutionalised behaviours compound poverty by closing off possibilities for the poorest to gain an adequate income. It costs a lot more to poor than it costs to be wealthy. Then of course there are the legal and exploitative loan sharks that are circling people who live in poverty. Provident is one of the largest companies in the UK unsecured lending market. This market targets people for whom banks and credit cards are out of reach – mainly the low paid and people with poor credit histories – and it offers them short-term credit, with a typical APR of 272%. These companies make money by locking people into cycles of debt, interest on debt, late payment charges and interest on late payment charges. The Conservatives talk about “cycles of poverty” as if it’s a matter of poor people’s lifestyle choice. It’s not poor people who create poverty and inequality. It’s the exploitative rich. Payday lenders such as Wonga, which sprang up during the financial crash of 2007-08, have more recently counted teachers, nurses and vets among their customers. Payday lenders ratchet up eye-watering interest the longer customers take to repay a loan. However Thaler shows no interest in the social problems created by immoral greed, exploitation and profiteering of wealthy businesses, who rake in huge amounts of interest because a borrower happens to be poor. Instead he blames the poor for the consequences of those apparently normalised behaviours of the wealthy. It’s easy to see why Thaler’s work made such an impact on the Conservatives. He’s an academic that provides a justification narrative for Conservative prejudices and draconian policies. He is a free market market advocate and so endorses neoliberalism. This of course exposes the ideological basis of behavioural economics. The finance industry’s collective risky behaviours caused a global economic crash, yet Thaler remains supremely unconcerned that his work is being used as a series of techniques of persuasion to enforce public conformity, to impose austerity on the poorest, making them pay for the sins of the wealthy; to politically micromanage and enforce social control within a socioeconomic system that is not only failing, but actually harming many citizens, while leaving the wealthy to continue as they were. Behavioural economics is therefore a prop for a failing neoliberal system and the status quo. It’s just an extention of a totalising ideology. Neoliberal policies contributed to the global crash, and they are also the key reason why so many people’s standard of living is falling. It isn’t therefore in the majority’s best interests to have their “best interests” decided for them. One technique of persuasion used widely in behavioural economics is framing, which is based on the idea that how choices are presented to citizens affects both behavioural and economic outcomes. The environment in which decisions are made can be shaped to provide “cues” to favour particular choices – “nudges” towards [politically determined] “desirable” behavioural and economic outcomes. Of course nudge is used disproportionately on poor people, and this asymmetry in the distribution of its use is based on an assumption that people who are poor and need social security support are cognitively “incompetent”, lack mental sophistication, all of which leads to “faulty” and politically undesirable non-neoliberal behaviours. 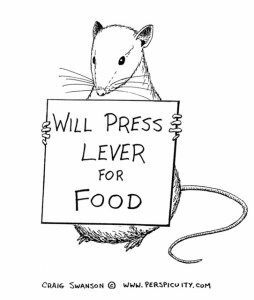 I’m irresistibly reminded of B.F Skinner’s draconian laboratory-based rat experiments in operant conditioning, using behavioural reinforcement. We have Skinner to thank for the formal conclusion that punishment can be used to reduce “undesirable” behaviours, though despots and tyrants everywhere had always known this to be so. All types of bullies, from politics to the playground, are crude behaviourists, after all. Skinner demonstrated how negative reinforcement works by placing rats in his specially designed operant conditioning chamber, called the “Skinner box“ and then subjected them to an electric shock. As the poor rat moved about the box it was trapped in, by chance it would eventually knock a lever that was purposefully placed. Immediately that it did so, the electric current would be switched off. The rats quickly “learned” to go straight to the lever after being put in Skinner’s torture chamber a few times. The relief of “escaping” the electric current ensured that they would repeat the action again and again. Skinner subsequently added a reward of food when the lever was pressed. The Skinner Box represents the environment created within our social security system. It’s enclosed. We don’t enter it by choice. Pressing the lever represents fulfilling welfare conditionality criteria and ultimately, it also represents “work”. The “reward”, once you have figured out what the randomly placed set of conditions are and escaped the ordeal of electrocution, is simply provision for one of your most essential and basic living requirements – food. In order to eat, the lab rats first have to navigate through the ordeal, designed by the experimenter. Punishment can work either by directly applying a painful or unpleasant stimulus like a shock after a response or by removing a potentially “rewarding” stimulus, for instance, such as food in the Skinner Box. Or by deducting someone’s lifeline income to punish “undesirable behaviours” such as non-compliance with increasingly draconian and irrational welfare conditionality, aimed at “helping people into work”, by the imposition of hunger and the threat of destitution. Which of course cannot possibly help anyone into work. It’s not possible to look for work when you are struggling to meet your basic survival needs. Didn’t Abraham Maslow explain this clearly enough? Food is essential to survival, surely it should never be provided conditionally, or seen as a reward for navigating an intentionally inflicted ordeal simply to elicit narrow political definitions of compliance and conformity. Of course the government’s explanation of the need for welfare sanctions (“making work pay”) doesn’t stand up to much scrutiny, especially once in-work sanctions were introduced. Those on the poorest wages are also punished financially for not “progressing” in work. Yet the fact that work isn’t paying for many people shows that this line of justification for the welfare cuts is utter nonsense. In-work poverty is a much larger drain on the welfare system than unemployment or disability, and it is created by exploitative employers, executive decision-making and government labor-market deregulation. It not due to any failure of those being paid a pittance for their work. Most of the provision that helped disabled people get back to work has been cut, too. The government is not providing support for people to find work: they are withdrawing it. The reason that the welfare “reforms” happened is purely about ideological preference, reflecting traditional Tory prejudices. The ultimate aim is to remove social security completely. Welfare has nothing to do with “rewarding work”. It’s came about to ensure no-one is left unable to meet their basic needs for food, fuel and shelter. How work is rewarded tends to be decided discretely in boardrooms. Social security has been redesigned to deter anyone from actually accessing it, because needing such support is deemed “undesirable behaviour”. However, the national insurance scheme was put in place precisely because it was deemed inevitable that at some point in their lives, most citizens would need some support from public services to ensure their welfare, and that their basic survival needs are met. International research over recent years has indicated that generous welfare systems tend to increase the numbers of people finding work, rather than “disincentivising” them. That a government in a first-world so called liberal democracy considers, and has framed, the provision for fulfilment of basic and essential human survival needs as a “perverse incentive” is frankly terrifying. Social security was originally designed to ensure that everyone was protected from the worst ravages of unfettered capitalism. To say that we have regressed as a society since then is an understatement. Behavioural economics is a technocratic solution to essentially politically created problems. It addresses social problems by simply shifting the blame and responsibility from state to individual. Nudge is increasingly being used to ensure citizens behaviours are compatible with neoliberal ideology. Punished behaviour is not forgotten or “unlearned”: it’s simply suppressed – behaviour may simply revert when punishment is no longer present. Ethical problems as punishments most often entail inflicting a psychological or physical violence on others, without their consent. There’s a difference between political “persuasion” and state coercion. The path from the former to the latter takes us down a rapidly descending, very slippery slope. Persuasion usually presents opportunity for some dialogue, coercion does not. No cognitive development or learning opportunities are presented, and so people may well be very confused about why they are being punished. Nudge works only when people are unaware they are being nudged. This requirement for subject naivety forecloses the possibility of informative or instructive dialogue, facilitating development, realising individual potential and of promoting even basic understanding. Causes increased aggression – demonstrates that aggression towards individuals and social groups is an acceptable way to cope with societal problems. It reinforces political authoritarianism. (See Skinner’s frightfully dystopic book: Walden Two, which is a treatise for positivism as much as it is for authoritarianism). It has unintended and harmful consequences. For example, it creates fear that can influence other generalised “undesirable” behaviours. Does not guide toward desired behaviour – reinforcement tells you what to do, punishment only tells you what not to do. Who defines what are deviant or “undesirable behaviours”? Who decides what is an appropriate action to take to discourage such behaviours? How do we prevent unethical solutions? How do we prevent state actions from simply becoming expressions of political authoritarianism and manifestations of a gross abuse of power? Or expressions of eugenic ideologies and policies? We ought to have learned through the history of human atrocities that it’s never a good omen when an already politically marginalised social group is singled out for scapegoating, punishment and dehumanisation by a government. Another key technique of persuasion in behavioural economics is the use of “social preferences”. Individuals are inclined to care not just about their own outcomes but also about those of others. The behavioural “insight” (ironically) is that people derive value from fairness, cooperation and/or from conforming to social norms. These motivations may be [and are] used to give intrinsic “incentives” to make particular choices that accommodate neoliberal outcomes. So the irony is that people’s tendency towards collectivity, cooperation and fairness may be manipulated by choice architects in order to prop up a system that extends competitive individualism, unfairness and inequality from its very core, in order to ensure politically desirable behaviours that support specific socioeconomic outcomes. Social norms may be subjected to political “default setting” which manipulates people’s inclination towards social conformity. For example, it has become “common sense” that poor people are poor because of their own behaviours, rather than because of political decision-making and policy impacting on economic conditions and labour market conditions (deregulation, for example). In the UK, social security recipients have been transformed into folk devils in order to generate moral panic, to legitimise harsh and punitive welfare cuts and to de-empathise and desensitise the public to the awful consequences of this process. This default has been reset using the bombardment of political and media “norm” narratives. To the point where those claiming any support are quite widely considered as deviant and psychologically pathological. “Ordeals” have been introduced to the social security system, and can be clearly identified. This isn’t “nudging”, it is a political clobbering. The endless re-assessments and withdrawals of support for disabled people; the introduction of heavily bureaucratic mandatory reviews, designed to deter appeals; the withdrawal of support and the long periods people are being left without any means of meeting even basic needs; the constant threat of and increased use of much harsher welfare sanctions and so on. Then there are the unofficial, undeclared and non-legislative means that the Department for Work and Pensions (DWP) frequently use to try at every opportunity to end claims. For example, it’s fairly common for the DWP to try to end ESA claims because a disabled person has been awarded PIP – a non means-tested income to support day-to-day independence and meet the costs of the additional needs arising because of disabilities. The DWP often try to claim that this is “standard” process when someone has “another award.” But PIP does not affect your eligibility for ESA at all. The tactic is designed to force disabled people to go through the thoroughly demoralisng, anxiety-provoking and punitive claim process all over again – which means a reduction in income because they will then only be eligible for the basic rate ESA. This also means there will be another long wait for another harrowing assessment, which presents a further opportunity for the withdrawal of disability support, and so on. This kind of tactic was probably also designed to ensure that people never feel secure while needing support – a kind of informal Poor Law-styled “deterrence”. Such irrational and government-created ordeals are absolutely intentional. There are even targets for reducing the number of disability support awards built into the private service providers’ contracts for delivering the assessments. (See also Government guidelines for PIP assessment: a political redefinition of the word ‘objective’). I was forced to leave a profession I loved because I became too ill to continue working. My GP had to provide me with a “FIT” note explaining I was NOT fit for work. It’s worth noting the psycholinguistic framing being used here, as the word “fit” at the very least implies that a medical condition is trivial, it will be transient, and won’t be a long-term barrier to work. However, my illness is chronic, progressive and often life-threatening. It’s the Conservatves’ post-truth Orwellian approach to political narrative, a tactic that has emerged with the behaviourist turn. Punishment becomes “support”, social control becomes “welfare”, coercion becomes “behavioural economics”, authoritarianism becomes “nudge”, meeting basic survival needs becomes “incentivisation”. “Employment and Support Allowance” is another example of state psycholinguistic framing and default setting. Despite the fact that ESA is only awarded to sick and disabled people whose doctors and the state (through the privately contracted assessments) have deemed not capable of work, the name suggests that the award is contingent upon people who are too ill to work nonetheless becoming employed. I was eventually assessed by the state contracted private company Atos and found to be “fit for work”. By this time I was seriously ill. My doctor was outraged at this, and offered his support, so I appealed and won my case. I was placed in Work Related Activity Group (more psycholinguistics in that title, too). The key message here is that work is the ONLY option for survival. Any work, regardless of whether or not the wage is sufficient to support your living needs. It does not matter if you are ill and disabled, because the government have pared back support and ultimately aim to remove it completely. The DWP said I couldn’t have the money I was owed in ESA back pay, following the Tribunal, because, they claimed, I owed them money. And of course I didn’t. It felt like some form of psychological manipulation, like a bullies’ projection technique. This was most definitely intentional, no explanation was ever given for the claim. It’s almost as if there are some nudge measures in place to ensure that people lower their expectations in terms of the support that the state is obliged to provide with our taxes and national insurance contributions. Why, it’s as if nudge has become a part of a totalising neoliberal ideology. It’s as if the government ultimately aims to completely dismantle our social security system. One of the necessary stages along the way to fulfilling that aim is to make sure people no longer feel “secure” in their right to support. Part of that stage is to normalise the steady reduction in supportive provision, one cut at a time. Another prerequisite is the desensitisation of the public to the plight of those being abandoned by the state, by using norm setting and stigmatisation. Finally, it’s necessary to ensure that all routes of challenge and redress are blocked by, say, coordinating the removal of public services with abolishing legal aid, restricting access to justice and simply ignoring protective legislations such as the Equality and Human Rights Act, dimissing them publicly as a “bureaucratic burden”. I did get the back pay soon after several phone calls and a demand for evidence of the “debt”. It was yet another pointless and designed “ordeal”. I was not provided with any explanation of the “error” regarding the non-existent debt. However, just 3 months after winning the appeal, I received an appointment from the DWP for another ESA assessment. My illness is lifelong, chronic and progressive. The reassessment was of course another ordeal. This is a fairly standard tactic from the DWP, and I am far from alone in experiencing this particular ordeal. I’m too ill to work, yet the government tell me that “work is the only route out of poverty”. They also tell me that the assessments and other barriers to my support are to ensure that “those most in need” are targeted, and to “protect the public purse”. The fact that there are people dying because they weren’t assessed as being in the “greatest need” of support illustrates very painfully that these politically expedient comments are untrue. The government is spending millions of pounds of our money on private profit-seeking companies to administer a system of “incentives” (punishments and ordeals) to coerce our most vulnerable citizens to somehow work or starve and face destitution. My GP, my consultants, a Tribunal panel, and at the last assessment, Atos, have all said I am not well enough to work. The ordeals that the state has added to my “support” has exacerbated my illness, moving me further, not nearer, to any employment I may have found had I been supported rather than made to face state manufactured ordeal after ordeal. There is no economic need or justification for welfare cuts. Nor does the systematic scaling back of the welfare state, and the Skinnerian punitive approach, come cheap. The political misuse of psychology costs a lot to plan, coordinate and administrate, in terms of costs for government advisors, willing academics, rogue multinationals and thinktanks, to create justification narratives, superficially feasible theoretical frameworks, and creating a technocratic lexicon that draws on pseudoscience, psychobabble, managementspeak and “common sense”. Those employed to do the administrative dirty work also require a salary. The motivation is entirely ideological. For some of us, the Conservatives “long term economic plan” is the road to hell. “Economic competence” has come to mean simply stealing money from the poorest citizens, disdainful moralising about why people are poor and making sick and disabled people suffer. We have witnesed our public funds being handed out to a very wealthy minority in generous tax cuts, who take that money out of the economy and hoard it in private bank accounts. The rich have their discrete creature comforts, a life of looking the other way, a culture of entitlement, offshore money trees, and a dialogue with the government. The poor have rent arrears, huge debts, eviction notices, hunger and a maximum of 3 visits a year to food banks, if they are referred by a professional. The government doesn’t engage with us, it simply acts upon us as if we were lab rats. Handing out our public wealth to greedy vulture capitalists isn’t good economics, it’s corruption. It’s not good management of our resources or the economy. Being poor is itself an ordeal. Yet the government say they expect the use of financial deprivation (sanctions and austerity cuts) to work as a way of “incentivising” people not to be poor. If that actually worked, poor people would have already learned not to be poor. Taking money from poor people as a punishment for being poor will simply deepen their poverty and further limit their potential to increase their income, since struggling to survive is pretty time and effort consuming. Meeting basic survival needs becomes the sole cognitive priority when people are deprived of the means of doing so. So, you can’t simply punish someone into not being ill or poor. Yet the UK government continues to attempt to do so. This is a particularly irrational approach, reflecting a monstrous form of tyranny. Being poor, sick and disabled in the UK under a Conservative government is rather like being married to multiple abusive and gaslighting partners from whom there is absolutely no escape, ever. The simplistic, reductive design of a “behavioural” randomised controlled trial, shown with a test of a new “back to work” programme. There is no category that includes those who cannot work because they are too ill. Or any account of socioeconomic and political factors that may influence labor market conditions or individual circumstances. There is no scope for examining the quality, security and income that work provides (or doesn’t). It’s a very reductionist and deterministic “cause and effect” approach to public policy. Work fare is simply expected to somehow put people into work, and that is the only “route out of poverty”. Despite empirical evidence to the contrary. The graphic illustrating the nudge “Intervention” and “Control” groups is itself a nudge – it also has a nudge built into it. There are more green “found work” graphics in the “intervention” – which implies that the “intervention” always works. In a genuine Randomised Control Trial (RCT) there is no guarantee that the experimental “intervention” will work – hence the need for a trial. There is no potential for dialogue, qualitative feedback, consideration or measure of citizens’ complexity, dignity or wellbeing. It is simply assumed that any work is the only possible outcome. The government work programme presents an imposing, rigid and restrictive choice architecture – there are just two options. Work or face severe, punitive sanctions. There is no opt out opportunity. There are significant ethical considerations raised because subjects are not participating on the basis of informed consent. There are also implications for democracy. We don’t elect governments to change our perceptions and behaviours by stealth to suit their ideological agendas. In a first world democracy, it is expected that governments ensure all citizens can meet their basic survival needs. The Conservatives are failing to fulfil that function. The government’s approach to social security for many has become random, controlling and an unremitting, Orwellian trial. “It’s like the government ultimately aims to completely dismantle our social security system. ” I think that this is, in fact, the aim. I suspect that a strong sub group within Conservative party and their financial backers do believe that a country without a social security system would work better – or better for them. This seems to be the only possible conclusion to draw from the last few years. Their is no rationality, only greed, short termism, prejudice. Yes, I was being sardonic… They do want to dismantle every single social gain made from our post-war settllement, including what remains of the NHS. quite simply one of the best most comprehensive compelling an well reaserched examinations of the cruelty of and theoretical motivation for a government policy i have ever read. thankyou for your work. glad to have met you once and told you so.this should be compulsory reading for all involved in administering this brutal UC punishment policy. The pcs union should grow a pair an refuse to pull the tory skinner rat starving sanction leaver. evil takes power when good men do nothing and far to many including labour when UC was just a green paper did nothing.All our self entitled political class have, by elevating themselves, failed us. capitalism only survives on the illusion that the majority can achieve capital. UC rips that illusion away and when NHS care assistants start getting sanctioned into homelessness for having the cheek to be so low paid this government ,like maggies poll tax is done for along with any illusion the poor ever have any theoretical hope of any capital. you are correct. national insurance that can only be legaly spent on nhs and contribution based benefits is in credit and being plumped up like an xmas turkey for sale just like the student loan book was beautified for the market before it was flogged off. none contribution income based benefits are doomed to become income contingent repayable loans just like student loans as the minimum 6 week wait gets lengthened and the repayable crisis loan that fills that becomes more formalised and embeded. the staff with the experience are in post for that now. The real UC project was always extending housing conditionality to the low paid, as osbourne said after his last 2015 budget (check hansard) , and an income contingent welfare loan scheam to replace income based benefits. Universal Credit in my own experience has been a complete disaster, I shouldn’t even have been on it which is the real problem. From the outset of my claim, errors were made, 9 months after my claim finished, they are still unresolved and I am 4000 out of pocket and being pursued by threats of baliffs and other scare tactics if I do not repay money they say I owe because they screwed up so much in the first place. The benefits situation has changed to become a nasty, sanction based operation. The DWP treats their ‘clients’ with disdain, they don’t care and won’t help you like in my situation when my housing benefit was stopped without notice. Just saying ‘oh dear’ (my job coach) is not a sufficient response. Thanks, I think UC will fall apart, they have already agreed to scrap the call charges after it was made very public. What is needed is a multi stranded approach, including a points style immigration policy so we are not loaded with people only coming to the UK for what they can get with their hand out wanting to bring extended families with them, a Basic income payment paid to British citizens 16 and over and a realistic look at robotics and automation’s effect on the workplace. My sympathy for people who are being attacked by the government’s monstrous policies really starts to evaporate when I see those same people turning around to attack those who are even worse off than they are, like economic migrants and refugees. Or as Matt apparently sees them, “people only coming to the UK for what they can get with their hand out”. It’s really quite disgusting. The rich and powerful are ruining your life, but you feel like you can’t hit back at them, so instead you pick on somebody even weaker – just like the rich and powerful want you to do. Maybe you deserve to be hounded into penury. No-one deserves to be hounded by a state, D. I can understand your anger, and I won’t ever condone those being oppressed in turn oppressing others. It’s true that many have fell for the divisive and scapegoating political and media rhetoric. And you’re absoltely right about who the real perpetrators are. However, I can also see that living in constant fear and desperate insecurity makes people less likely to be rational, and perhaps it may also desensitise us to some extent to the plight of others who are also being oppressed. Every human life has equal worth. Every human being has the same basic survival requirements – that’s one commonality we all share: we have to eat, shelter and keep warm. Bottom line. Some people are greedy and just like to hoard wealth. It’s a pathological symptom of neoliberalism. These greedy profiteers don’t care about the basic needs of their fellow human beings. The Conservatives would like us to forget that as a society, we have more in common than we have differences between us. They would like us to blame those who are suffering as a consequence of the habits, behaviours and attitudes of a minority of powerful and wealthy individuals for the suffering being inflicted upon them. It’s down to people like us to make sure that we don’t forget the lessons of history – the atrocities that happen when we have forgotten that each human life has equal worth. In my opinion the whole design of univesal credit is intended to remove every claimant from the social security system. Any talk of a slow phased roll out is simply a smoke screen for carefully targeting the groups least likely to arouse public sympathy and so embed the system before rolling out to the next group. Single unemployed people were first because the divide and conquer mantra has worked so well that Mr Camerons strivers were bound to point the finger with a ‘get a job’ wag. Never would it have occurred to them that IDS also had plans for them, and by the time they realise what’s really in store it will be far too late and this country will have been stripped of one of the greatest assets we had. I believe the plan was always to remove the safety net of social security by making claiming so awfull that people would do anything to avoid the system. Universal credit has now given them the perfect mechanism to acheive that goal. Thanks for this, Kitty, especially as it is now written and can thus be referenced. When I met him after a Radar debate in 2008 in which he opposed David Freud’s motion: “Most disabled people can and should work,” he and Kate Green (then of Child Poverty Action Group) had heavily defeated Freud’s motion and replaced it with one that included reference to support requirements. When I told him that I had met an Occupational Psychologist [sic] at a Manpower Services-run ‘Employment Rehabilitation Centre’ (ERC) [sic] in 1978 at age 24, she — with her MSc in Experimental Psychology — told me, “You will be terminated [sic] at the end of next week,” with no further help stemming from my six-week ‘vocational assessment period’ there. Massie responded that he had ‘been terminated from an ERC ten years earlier. Thanks for ‘liking’ that comment, Kitty. I should also add that the amended motion that was passed overwhelmingly affirmed disabled people’s desire to do waged work, which Freud’s dictatorial stance had not. Also, the poll regarding the motion may have been slightly in favour of the motion before it was moved by David Freud, but after the moving and opposing speeches and questions and comments from the floor, the real agenda of David Freud was roundly defeated. With my attention drawn today by a Guardian article in which LB Southwark and LB Croydon are identified as ‘guinea pig’ councils for Universal Credit purposes, I have produced another Kilburn Unemployed Workers Group blog post in relation to this so-called ‘open consultation on Universal Credit experimental statistics’ matter. I also note that in recent years the increasing cuts in social care funding and onslaught of ‘the financial services industry’ have colluded with the ignorance of the mainstream to frame ‘the social care debate’ almost exclusively to how those in waged employment will be looked after after retirement age. Can I use this comment without your name – anonymous – in a short article please? I want people to know the sort of ordeals people are facing and your situation is one of the worst. The comment about the night job at the end disgusted me, it shows how insensitive, callous and completely out of touch many administraters have become. As a former Green Party of England & Wales spokesperson on such matters, I would recommend that you get in touch with CarerWatch. CarerWatch is an online network of family-based carers, and not confined by the same charitable rules that carers’ charities are. Their blog can be found at https://carerwatch.wordpress.com/, and they previously came to national fame due to Atos’ attempt a few years ago to shut them up — or should I say, ‘shut them down’! Hi, I often follow your blog and find it extremely informative, and now feel I should add a comment, as I am particularly fearful for the future for anyone considered “not fit for work” I recall reading an article a year or two ago (regrettably I can not remember the source) which seemed quiete frightening if correct. The article discussed that plans were in place to build “Civil Population Centres (CPS’s)” on MOD land on the Salisbury Plains to which the people determined to be “not fit for work” would live and work in a controlled and contained environment. Having followed the Government’s so-called Welfare Reforms over the last seven years, it does not seem that such a plan is so far fetched. Whether or not there was any truth in the article, I really hope people will start to wake up to the reality that our Social Security network is slowly being dismantled by this uncompassionate Government and their advisors before it is too late. I’ve not come across that article, but will have a look for it. Terrifying thought, and not unfeasible. We know the terrible history of societies that set up “camps” for targeted social groups. Rather late in responding, but there were camps set up for the unemployed in the UK. Simon Webb’s “British Concentration Camps: A Brief History from 1900 – 1975” Pen & Sword, Barnsley, 2016 is a very readable book on the subject that is little know about now, and indeed, wasn’t exactly well known throughout history. Very sobering to realise that it isn’t the Nazis who are only to blame for such institutions. Being published in 2016 the book of course was published at a time when IDS’ comment about work making us free, with no apparent irony, is somewhat paraphrased in the book in that the chapter on British labour camps in the period 1929 – 1938 is entitled “Work Sets you Free” no doubt echoing not just the ‘Arbeit Macht Frei’ of roughly the same period, but also, with irony, I suppose, IDS’ comment, which hardly anyone on our side missed the association. It’d be interesting if someone now wrote a on eugenics in British history. Maybe I’m ‘jumping the gun’ a bit, but I suspect that there are undertones of eugenics in the Tories’ current policies towards social security. It’s interesting that you include the chart “The Nature of Prejudice” as it reminds me of some more recent work done by a German who was interviewed on a Radio 4 programme, (which must have been in the 90s as I have rarely listened to it since the BBC started to ‘dumb down’ virtually everything) where she, (sadly I cannot recall her name) that the first step in prejudice is regarding others as somehow less human and worthy of humane treatment. How is it that we’ve arrived in a situation where convicted criminals are better treated, not just in the sense that they have basic needs satisified, but that they’ve been subject to due legal process in a court of law. Does this mean that claimants are now less worthy of humane treatment than prisoners? This sounds like the alleged ‘FEMA’ camps being built in the USA, not really much of a step away from Concentration camps is it? The examples presented by the two heroines of this story provide a different vision of what is possible. 3. The service user who ‘became Belle of the Ball’ with the inclusion that a musical shaker in one hand facilitated. DID NOT WORK FOR ME IN 2013 0R 2015 ( please see attached photo of un-used tablets ). This is going on for about a year (2015) and seen specialist who organised endoscopy and told it could be irritable bowel syndrome and again on Page 340 – Investigation indicated irritable bowel syndrome for which he takes medication regularly ( Please see Page 178 ). His problems seem to have started around 2012. We felt much of this would be due to an irritable bowel syndrome. He was seen again in July 2014, when things were getting worse. Given Mebeverine (again) in January, 2015. Which didn’t really help him. Please see Page 337 – along with the side-effects of swollen ankles and restricted leg movement, I STOPPED ALL MEDICATION APRIL / MAY 2015. 10 months before the medical assessment of the 27th February, 2016. Asked recently by a member of I.C.E., I can now confirm the evidence given by the HCP is 5% correct – my name and the fact I played dominoes. Having spoken to other “agencies” this is not an isolated case – action is required now – I would hate to provide this information to the Inquest of someone’s death. And everybody is willing to pass the problem along to another. I’ve written critically about the government’s use of positivism. It’s being used as a way of imposing ideological frameworks on groups of citizens without any democratic inclusion. I have also questioned whether it is appropriate, given the is/ought distinction, among other issues that have historically arisen with the use of positivism in the social realm.